New & Improved McKee's 37 Tire Coating features increased durability, protection, and longevity as well as an even glossier shine! A tire shine that lasts the long haul! McKee's 37 Tire Coating is an acrylic-based resin that forms a flexible, chemical-resistant coating on your tires. Engineered to outlast and outperform conventional oil and water-based tire dressings, McKee's 37 Tire Coating will not wash or sling off and will not turn tires brown. A single application of McKee's 37 Tire Coating will provide several months of protection, even in extreme climates. McKee's 37 Tire Coating dries to the touch – it even passes the “white glove” test! McKee's 37 Tire Coating is the second component of a two-part tire protection system. The first component is McKee's 37 Tire Cleaner & Rejuvenator – a heavy-duty tire cleaner that preps the tire for application of McKee's 37 Tire Coating. This step must be performed for the tire coating to properly adhere to the tire. 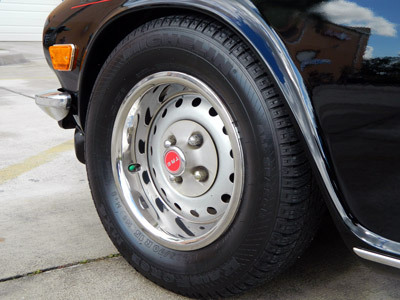 Use McKee's 37 Tire Coating on classic cars as well as daily drivers! You can control the amount of shine by how much you apply. 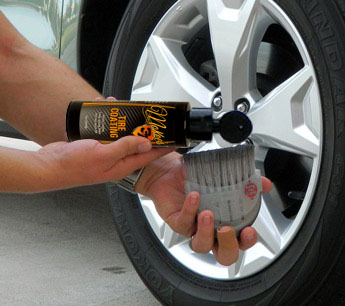 McKee's 37 Tire Coating is unlike any other tire shine spray or gel you’ve ever used. Unlike those products, which tend to only last a week – maybe two if you’re lucky – McKee's 37 Tire Coating forms a much more substantial barrier of protection that is designed to last months. Depending on how often you drive your vehicle, McKee's 37 Tire Coating could potentially last a year or longer! 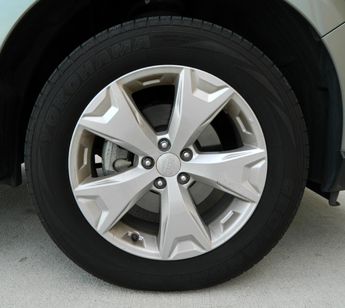 McKee's 37 Tire Coating does more than make your tires look shiny and glossy – it actually protects them as well. The durable shell of protection created by McKee's 37 Tire Coating seals the rubber, preventing antiozonants and UV absorbers from leaching out of the surface. McKee's 37 Tire Coating helps preserve both the look and the durability of your tires! McKee's 37 Tire Coating dries to touch seconds after being applied. It will not crack or peel over time. As the coating eventually wears off, simply clean the tires with car wash soap, let them dry, and apply another coat or two! McKee's 37 Tire Coating keeps your tires cleaner in between regular washes. Tires that are coated with McKee's 37 Tire Coating only need to be washed with soap and water. The amount of gloss provided by McKee's 37 Tire Coating is adjustable to meet your needs. If you prefer a low-gloss natural looking finish, simply apply two coats. If you want more shine, apply 3 or 4 coats. McKee's 37 Tire Coating applies extremely thin – a single bottle is more than enough product for several coats on a couple dozen tires! McKee's 37 Tire Coating does wonders for whitewalls and raised white lettering! If you have a classic car or a lifted four wheel drive pickup truck, McKee's 37 Tire Coating will keep your whitewalls or raised white lettering bright and white for several months! Ensure surface is cool to the touch. Thoroughly clean tires using McKee's 37 Tire Cleaner & Rejuvenator until all browning and previously applied dressings are removed. The tires are cleaned properly when a white foam is produced as you scrub them. IF YOU NEGLECT TO PERFORM THIS STEP THEN THE COATING WILL NOT PROPERLY ADHERE. 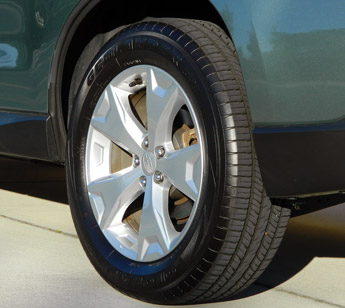 Allow the tire to dry completely before applying McKee's 37 Tire Coating. For best results, apply McKee's 37 Tire Coating with a soft-bristle brush, like the Carrand Brush & Shine Tire Dressing Applicator. 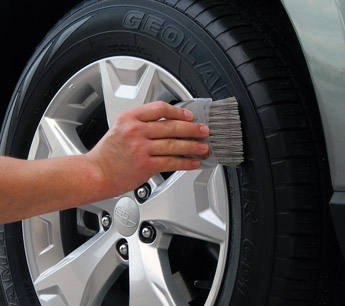 Apply the coating directly onto the bristles and spread over face of tire, evenly distributing the coating. Pay special attention to raised letters, ribs, and grooves. If a glossier finish is desired, wait 30 minutes and apply a 2nd coat. Maintain the finish with your favorite car wash – we prefer McKee's 37 Power Wash! McKee's 37 Tire Coating 16 oz. New Formula! I purchased this along with the Wolfgang Uber Ceramic Coating kit. I cleaned and coated the rims first, then I applied the tire coating. I found the coating to be very runny and got a bit on the newly coated rims. 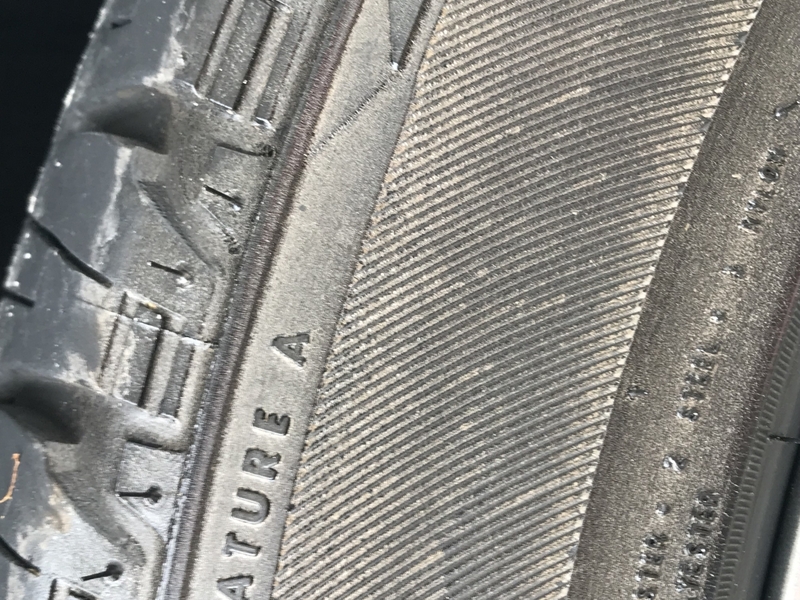 The McKee tire coating would not clean off of the coated reims. I ended up using alcohol to remove it from the wheels. I then had to clean and recoat the rims. There was no mention of this problem with the tire coating. If I had known, I would have coated the tire first, then ceramic coated the rims. The tires look good. Again, time will tell how it holds up. ConsVery runny, very difficult to remove excess from rims. Followed directions, including scrubbing tire with mcKee prior to using. Hands down this is the best product that I have ever used for tires. I have used many different brands and 37 truly does beat them all. to clean them and the stuff works great. Remember to wait 20-30 minutes between the first and second coat. ProsDurability A little bit really does go a long ways. Not disgustingly shiny. Had very good success with this product when it was Detailer's Pro. 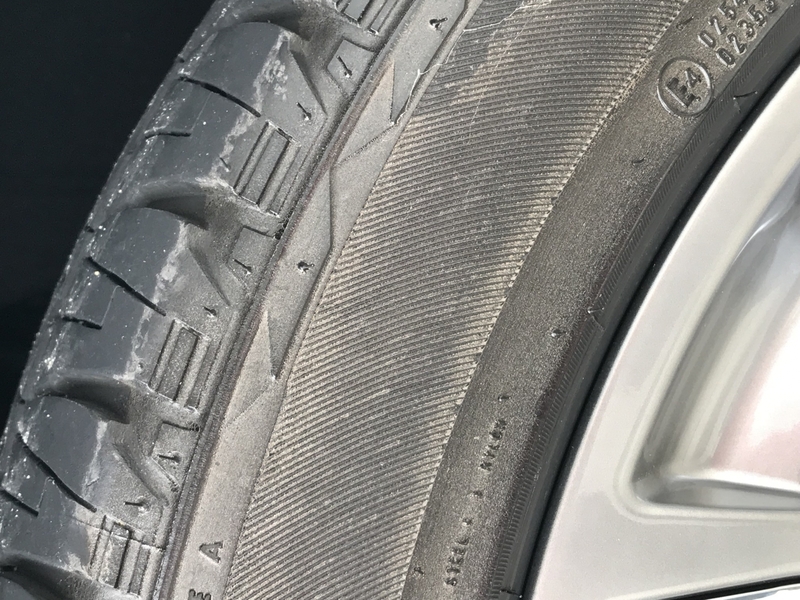 Nothing but problems with the "new formula" Tires look black and shiny after product cures, but after driving in the rain, the product turns the tires a milky brown color. Experienced this issue with two sets of new tires. McKee's 37 Tire Coating Great stuff! Still on my 1st month and still looks good. a little timely to apply but worth it.